Hard boiled eggs are a protein packed snack, a salad topping or even a sandwich filling. If yours are a little boring, try giving them a quick sear. It might sound odd, but it works. 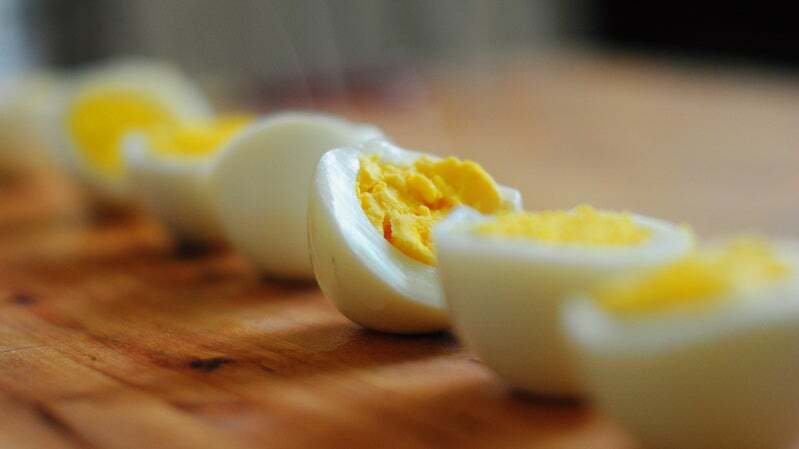 Peel and cut your hard boiled eggs in half. Add olive oil in a pan on medium heat and place the eggs cut side down in the pan. Allow the eggs to cook for a few minutes, until they have a golden crispy layer. Season with salt, pepper and any other spices you like. This seared preparation is great for when you're eating the egg as a snack on its own, or serving it as an appetiser. Trust us, it's best when eaten hot from the pan.